Greece is famous for its small villages with historical neighborhood, labyrinthine streets and neoclassical architecture. 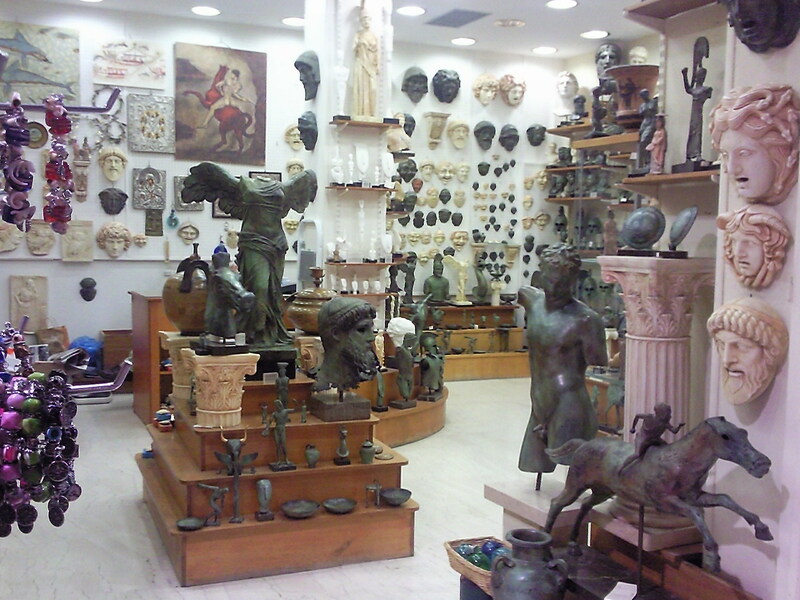 Plaka is a sort of village inside the city of Athens. Built on top of the residential areas of the ancient town of Athens, it is also known as “The Neighborhood of the Gods” due to its proximity to the Acropolis and its many archaeological sites. Here you can find various small shops, restaurants, street musicians, exhibitions, terraces and cafes organized around small and cute houses. It can be a wonderful and romantic destination for couples and families. 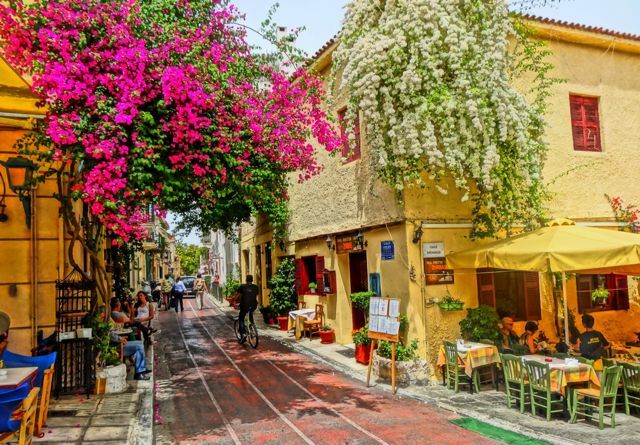 There are two main pedestrian streets which intersect at, what is generally considered, the center of the Plaka: Kydathineon and Adrianou. Plaka is on short walking distance form Acropolis (10 minutes) or reachable by the hop on-hop off bus that takes you through the entire city centre. Free. General drinks and food costs.